Amando Iannucci is the king of satire. He has proven this time and time again with shows like The Thick of It and Veep. This is his second venture into directing for the big screen after In The Loop, the cinematic version of his hit TV show with the ultra sweary Malcolm Tucker. It would have been very easy for him to target a certain American President but instead, he has turned his attention to history. 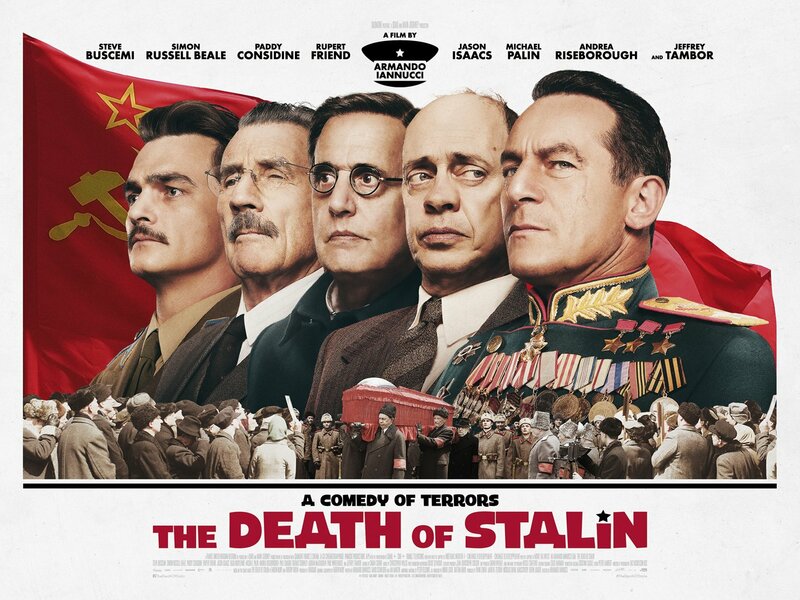 In fact, Russian history with The Death of Stalin, although you can still see parallels with what is happening in US politics. Russia is in a terrible place under the rule of Stalin. Anyone seen to criticise the leader is placed on a list and shot. Even Stalin’s closest allies are not immune from being executed. Then the Russian dictator has a stroke that eventually leads to his death. This triggers a power struggle among his cabinet, as Georgy Malenkov, the man next in line, takes on responsibility but he is viewed by the others as a man who could be overthrown, particularly from spy and chief executioner Lavrentiy Beria and Nikita Khrushchev who try everything they can to jostle for position in order to become the next leader. From the outset, Iannucci sets his stall out. This is not going to be a film filled with dodgy Russian accents and conversations that even the speaker doesn’t understand. All his actors have their own accents or exaggerated Northern dialects. The other thing is that this is going to be like watching The Thick Of It Russian style. The language is very, very sweary. Finally, this is going to be a laugh-fest unlike anything else you would have seen this year or for many years. Taking true events (and based on a graphic novel) Iannucci’s film is more about the insecurity of politicians than about men in power. These cabinet members bicker and backstab while being slimy and sycophantic when they need to be. Scenes in which they try to decide where their positions are in the new cabinet become almost childish in their level of conversation, while at the same time, no one wants to step out of line. One particular scene, in which new leader, Malenkov, is allowing his cabinet to vote becomes almost like a scene from a playground with none willing to commit to a vote until someone else does. The jokes come thick and fast, taking events that were both terrifying and horrendous and twisting them with farcical humour, razor-sharp wit and just out-and-out silliness. 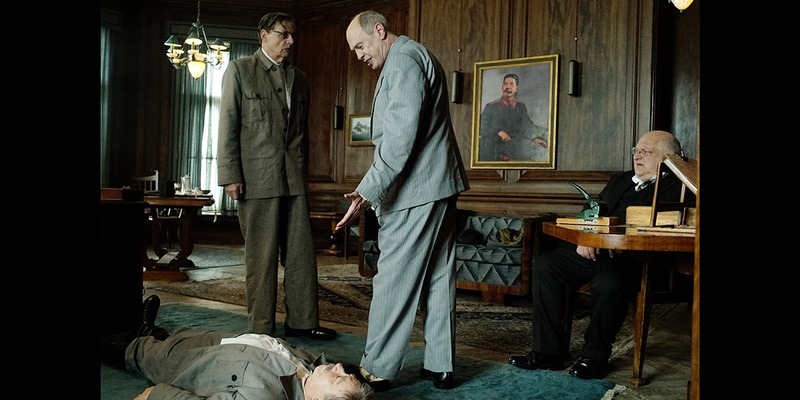 The scene where the cabinet tries to move the body of their former leader turns into comedy gold, with one of the members ending up underneath Stalin just because they cannot work as a team. An opening sequence in which Russian radio is transmitting a concert that Stalin loves so much that he wants a recording, only the station didn’t record it so needs to recreate the whole thing is a blast of the absurd, yet weirdly enough it actually happened. The performances are spot-on with a cast of expert performers all giving the film the energy and attack it needs. 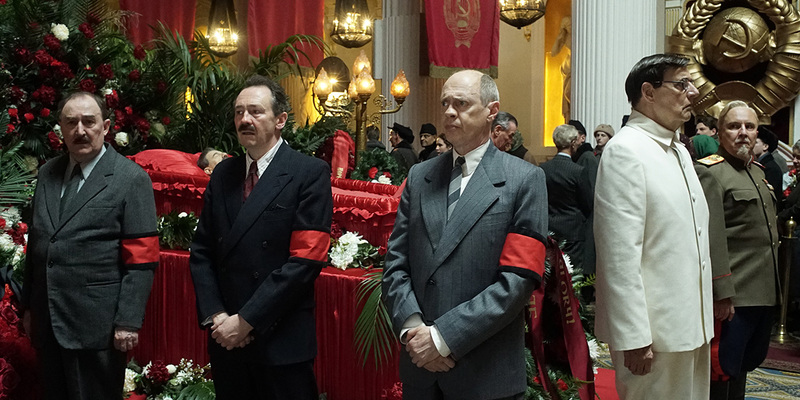 Steve Buscemi, as Khrushchev, is at his whiny best, while Jeffrey Tambor is hilarious as the hapless leader in waiting. 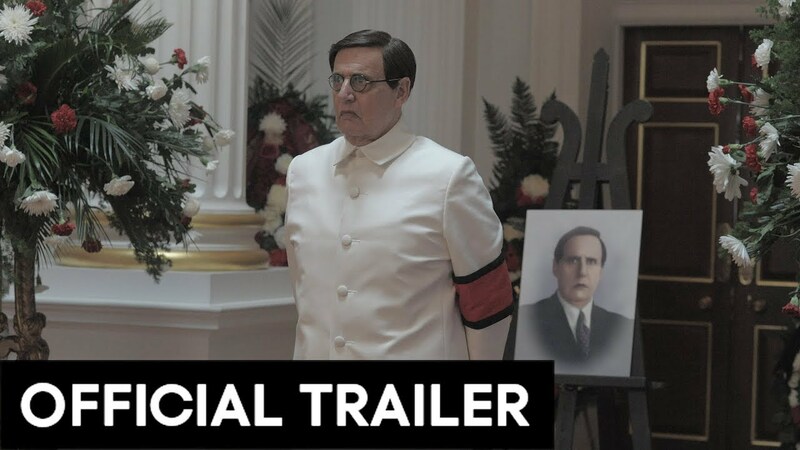 Good to see Michael Palin back on the screen and king of the British stage, Simon Russell Beale, given a big screen role he can really get his teeth into as scheming Beria. Jason Isaacs steals the film, however, as the leader of the Russian army, with his gruff Northern accent and wicked sense of humour. 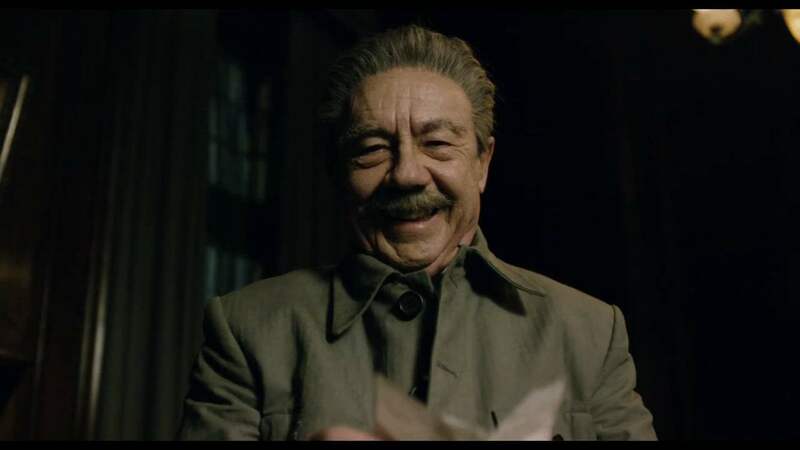 The Death of Stalin is a triumph. Iannucci has carved one of the finest British comedies in years out of events that shouldn’t have been funny. Without once mentioning current politics, the films speaks louder about the state of the world than any news channel can and by the end, it does become incredibly dark and quite evil, making it even more powerful a message. It could have easily been called Carry On Russia but without the sexism. An absolute blast!